We carry only the best performance cycling apparel. We offer apparel for all seasons and all weather. 45NRTH is also playing a key role in keeping us warm this Cold Season. We have wool items such as the Greazy cap, Dozer, and Lung Cookie. We also have many Wolvhammer boots which are perfect for cycling in the Boston area on your commute, fun weekend rides, or more serious winter bike treks. We have a full line-up of gloves (five-finger and lobster gloves), warm socks, neck warmers, proper winter eye wear and much more! 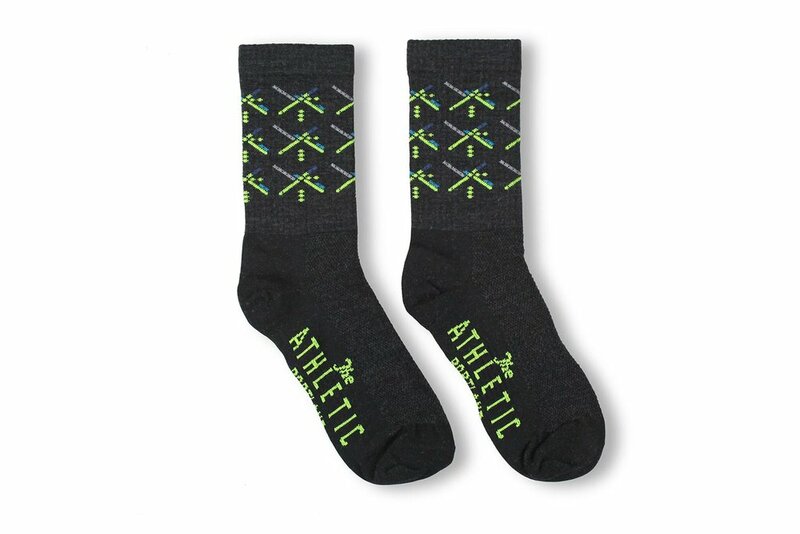 Never fear, we keep your feet in fashion with The Athletic socks! We keep a good selection of a variety of styles and summer + wool socks. Call us or email us to see if we have what you're looking for. We place very frequent orders with our suppliers and we are pleased to order in whatever it is you want to try.